Home Dogs Are Pit bulls aggressive? If there is one canine breed that has gotten the brunt of the negative media attention during the last years, that must be the pit bull. As a result, most people believe that these dogs are naturally mean and they should never be kept as pets. Experts can tell you that it is all a misconception. There are many other facts about pit bulls that you might not know, and we want to show them below. Plenty of pit bull owners can tell you that this breed can be very affectionate, and its members only want to be close to humans. They do not often make such great guard pets, just because they would feel tempted to fraternize with the burglars instead of chasing them away. The matter of aggression in these dogs relates to their training. If they are trained to attack, being the loyal breed they are, that is what they will do. But if you surround the puppies with love from an early age, and you give them a lot of toys for pitbulls to play with, don’t be surprised when you realize that you’re raising quite an affectionate dog. However, what you must know about pit bulls is that they can be very aggressive toward other dogs. That is a trait of character stemmed from their history of being trained as fighting dogs. Again, if that happens, it is up to you, as the owner, to take the necessary steps to prevent this type of behavior from becoming the norm. 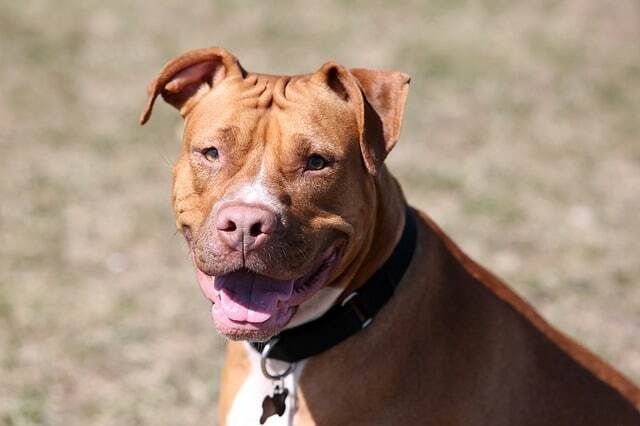 Another misconception about pit bulls is that their bite is so hard that once they stuck their teeth into something, they won’t be able to let it go. That locking jaw thing you might have heard about is all a myth. According to experts, a Mastiff’s bite is much harder than a pit bull’s. One trait pit bulls have by the ton is tenacity. They have great stamina, and they can get involved in physical activities with enthusiasm. If you have been looking for an exercising partner and had no luck so far, maybe it’s time to get a pit bull. The only issue you might face is keeping up with him or her. Although it is common to consider pit bull a breed, the truth is that this name is used only to cover dogs that share the same traits. 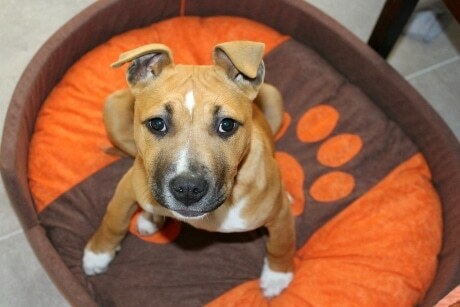 Only a few breeds such as the American Pit Bull Terrier are accepted as breeds on their own; otherwise, many dogs you see that are labeled as pit bulls are that only to some degree. While many people believe that these dogs are aggressive and difficult to deal with, their owners can tell you that they are the most affectionate canines you might keep as pets. They love to cuddle, snuggle, or stay next to you. They have a natural inclination to spend time among humans, and they can even be trained to be successful nanny dogs. Another thing is that they can be quite playful, and the best part is that they remain this way for the duration of their lives. They tend to mature later than other dogs – at the age of two or three – and that may also count toward their more playful nature. Due to their noble traits, such as determination, loyalty, and courage, pit bulls were chosen for the posters used during the first World War, to symbolize the bravery of the US Army. Sergeant Stubby was, for instance, a decorated war hero, as he served, along with the troops, in the trenches in France during World War I. Another argument those who love pit bulls might have against those who claim that these canines are aggressive and mean is that there are many of them everywhere. The estimates, only in the US, are two million. If they were so mean to humans, would they be so many? Even during their bloodiest days, when they were trained to fight other dogs in rings, or kill rats, pit bulls were never taught to be aggressive toward people. Their handlers didn’t want their pit bulls to turn on them, and therefore, they worked toward eliminating such behavior, which might explain why many pit bulls prefer humans to other dogs. Keeping a pit bull inside your yard might prove tricky, as these dogs excel in fence climbing. Proper training is paramount if you don’t want to deal with an expert escape artist on a regular basis. While pit bulls were present on the battlefields back in the day, when they comforted wounded soldiers, among their tasks, and even Theodore Roosevelt had a pit bull called Pete, today, many people love them. It is no surprise that a lot of celebrities love these dogs and even own representatives of the so-called breed. Names such as Brad Pitt, Dr. Phil, and Jessica Biel, are on the list of famous people owning pit bulls. One of the results of their intensive training of fighting in a ring is that pit bulls will not display aggressive behavior before attacking. Even a dog that rolls belly up on the ground can still be attacked by a pit bull. 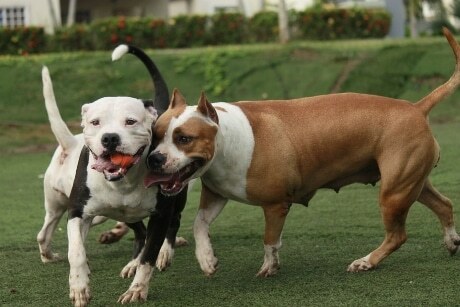 Because they are determined and strong, pit bulls need equally determined and strong owners. Their training must keep track of their characteristics, and someone without experience in dog ownership might find them difficult to deal with.